This pattern was written with sock workshops in mind. 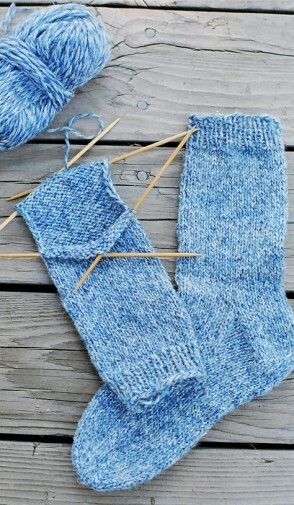 An easy worsted weight sock, 20 sts to 4 inches. 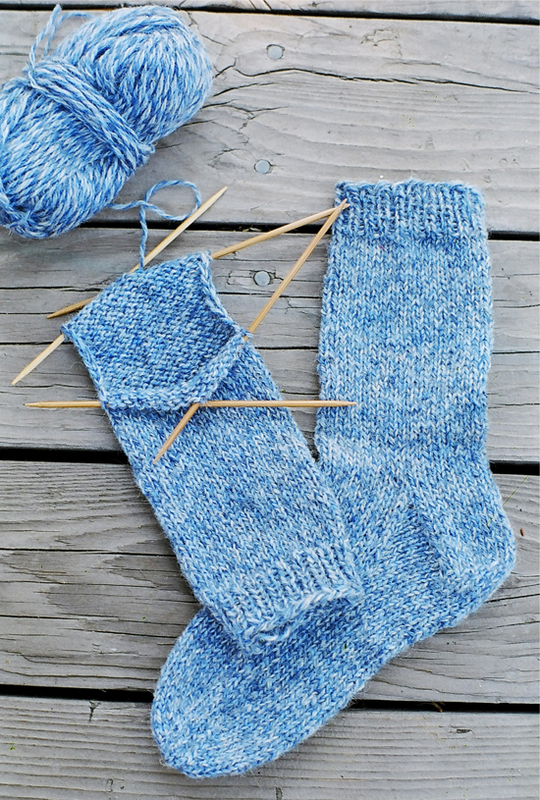 Many beginning sock knitters can knit it with no extra help. Women’s sizes.